This post has been about 2 years coming and I FINALLY got around to putting it together for you! 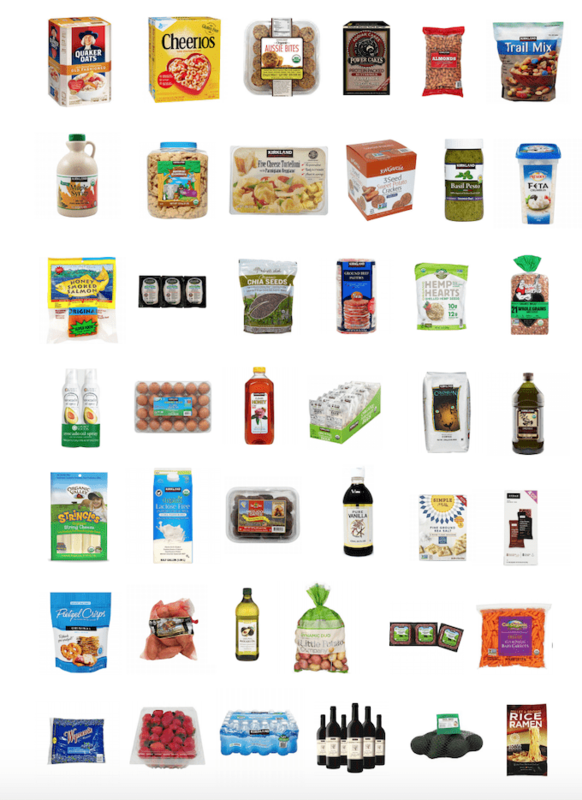 I get asked all the time what I buy at Costco so I wanted to share all our favorites. We’re lucky enough to have a Costco right down the road so we go every weekend! 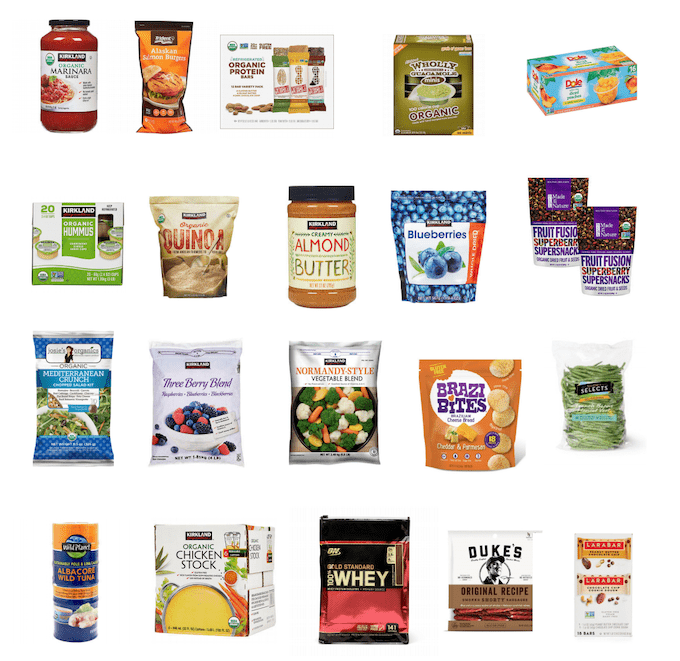 There’s also a lot of great options at Costco that we don’t necessarily buy, so I tried to share some of those too! Plus, some non-food items we’ve purchased there that you might not know were available. Also note we don’t buy a ton of stuff from the frozen and refrigerated section so I’m sure there are some good pre-packaged options not included in this post simply because I haven’t tried them. Like I mentioned, we buy A LOT of stuff at Costco. 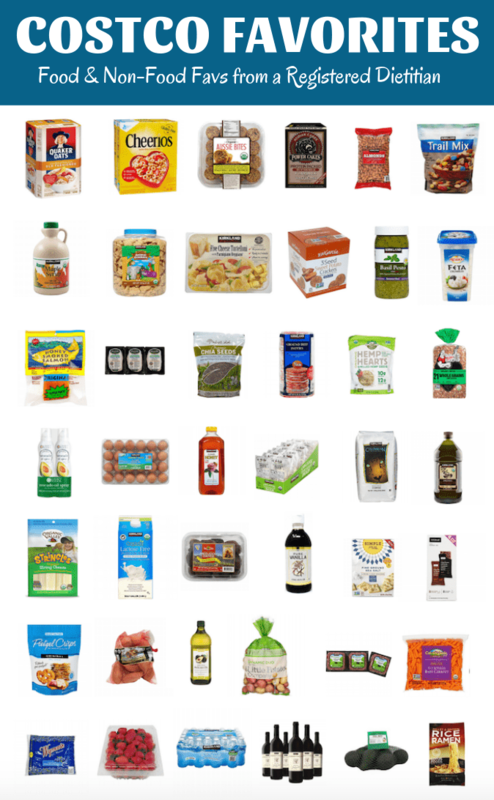 I tried to remember some of the things we’ve purchased over the years so if you’re looking for some of these things, you might want to consider Costco as an option! Hope that helps! Would love to hear some of your Costco favs! I love this list! My husband and I waited so long to join Costco and now we can’t imagine life without it. We’ve saved a boatload of $ on travel and gas. Our favorite food staples are frozen organic broccoli and string cheese (with two growing boys in the house we need an unlimited supply at all times). I’ve gotten a fair amount of workout clothes there for stupid cheap. <3 Costco! I very rarely leave comments, but this post is so poor, on multiple levels. 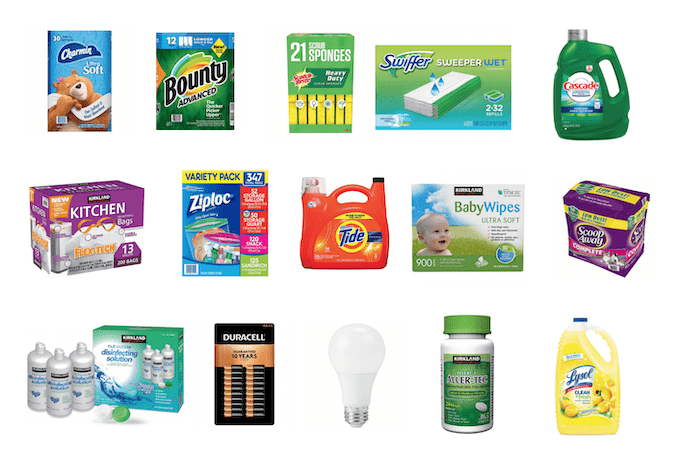 This list feels like pretty much everything Costco sells – including bottled water. Bottled water? Seriously?!? Lean Green Bean: Balanced, Simple, Real, Environmentally Irresponsible. Thanks for sharing your opinion! I don’t think I said anywhere in the post that this is what everyone should buy at Costco. I simply put together a list of things I buy there because people often ask me. That includes bottled water, which we choose to buy occasionally. If you don’t want to buy it, that’s great! Wow, way to wake up on the wrong side of the bed? Have you ever shopped wholesale? If you did you would know that the items she mentions are staples! Lets take a look in your house and judge you, ok?! I bought an elliptical online from costco! I guessed while pregnant that I wouldn’t want to go to a gym much once I had my baby and figured we’d invest in an elliptical to have at home so I could work out whenever and for however long (especially when naps were so unpredictable)! I also love having their frozen burritos on hand in a pinch. How often do you shop at Costco for produce/fresh items? And do you find it is cheaper than say a Kroger or Aldi (for produce). We just got a Costco card and are trying to figure out how to save money and what would be the best options for fresh groceries. Thanks in advance! we buy things like berries and avocados there every week. We also buy baby carrots weekly. i think it all depends on how much fresh stuff you eat. it won’t save you money if you end up throwing stuff away, but we go through a ton of fruit so for us it’s cheaper than a grocery store. Also, we get our passport photos taken there. Get them done first thing, shop, then pick them up on the way out. I do not buy fruit there because it is only two adults and that food would go to waste. If I bought it and did not use it, now that would be irresponsible. Oh and they used to carry these pretzel buns that hubby and I would eat.all.the.time. Sadly, they have yet to bring them back. I will gladly pay the $110 annual membership! Thank you for being so open! It makes me feel better to know I buy a lot of the same things as an RD. My concerns are about pesticides and chemicals. I stopped buying Cheerios and Quaker oats after the EWG published their report about levels of Round-Up in our conventional grain supply. What are your thoughts on these findings? Also, I agree with you that bottled water is sometimes the way it has to be. However, I have made good progress reducing our use over the last few years. It started with my daughter watching a documentary entitled “Tapped”, at school. I encourage everyone to watch it. I am a new subscriber and I am already loving your emails.! Thank you! Yeah we really only buy bottled waters for parties, it’s not a weekly purchase. As far as the oats and Cheerios, there are other brands with similar products that you could choose to buy but i think like anything else, variety and moderation are key. I try to rotate through some different cereals with my kids so they’re not always eating the same ones. I buy many of the same items, Costco is also our main grocery supply choice. If I were to so this list, it would look a lot like yours, minus the kid stuff, lol.